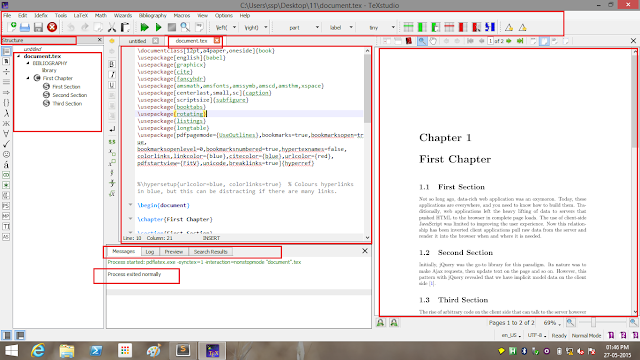 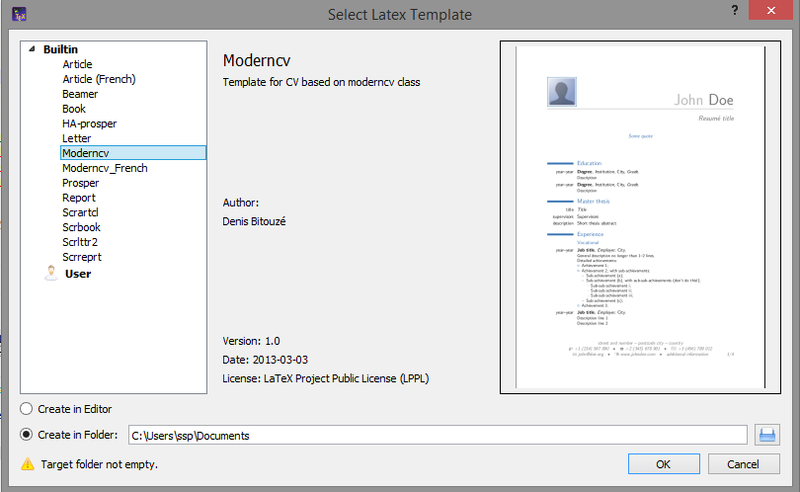 TeX Studio is an IDE for Latex Documents, it has many features, like- Code Completion, Document Outline, Auto-Compilation, Commands to convert file to different file formats. 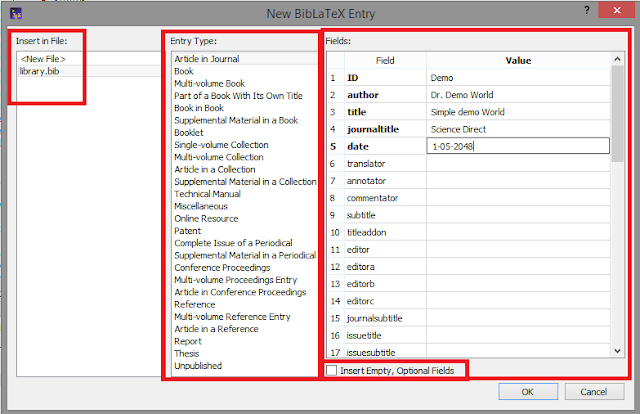 It can also generate code for you, (such as, Document Global import section, Differnt formatting for text, for sectioning, Differnt Environments, Different symbols and formulas, Graphics, Tables and Bibliography ). 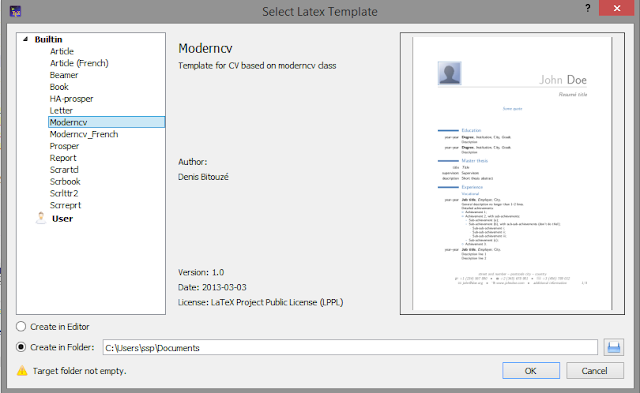 ## If you want to, you can easily create templates or use pre-installed one, that helps a lot. 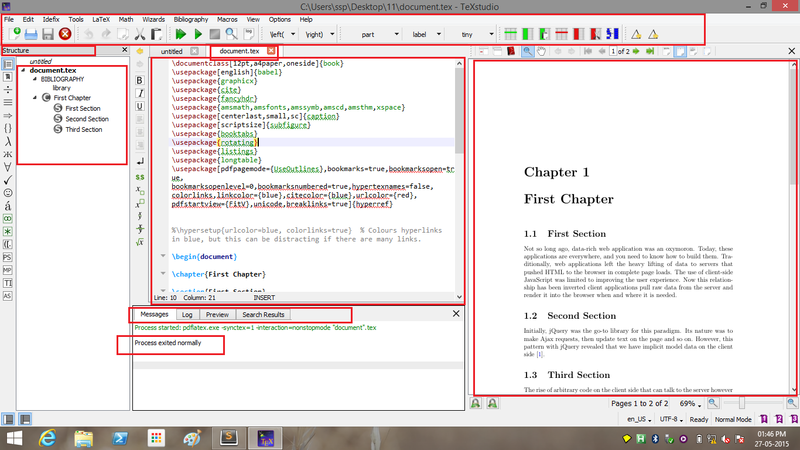 ## Useful command are pre-defined into TeXStudio, You do not have to type any command, all you have to do is run them as you need, there are some document conversion commands also. 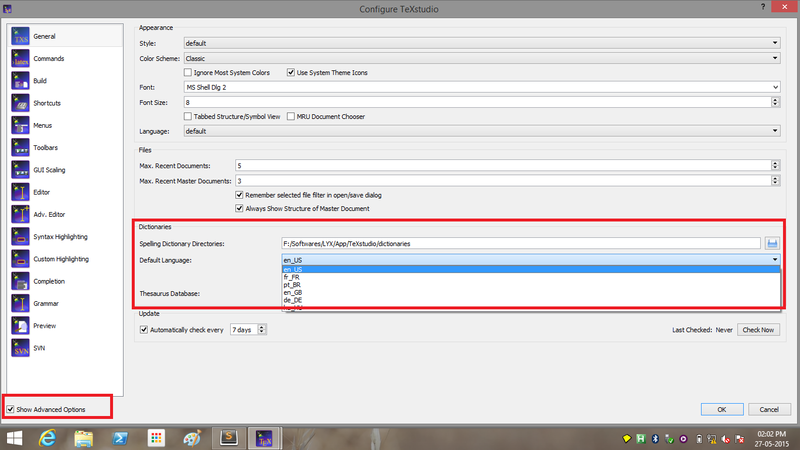 ## Wizards are going to generate some code for you based upon your defiend settings for it. 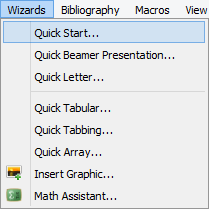 It can also generate code for tabbling/tabular/graphics/math symbols/math equations. 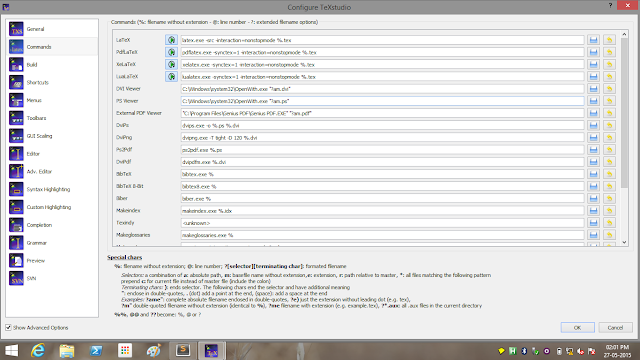 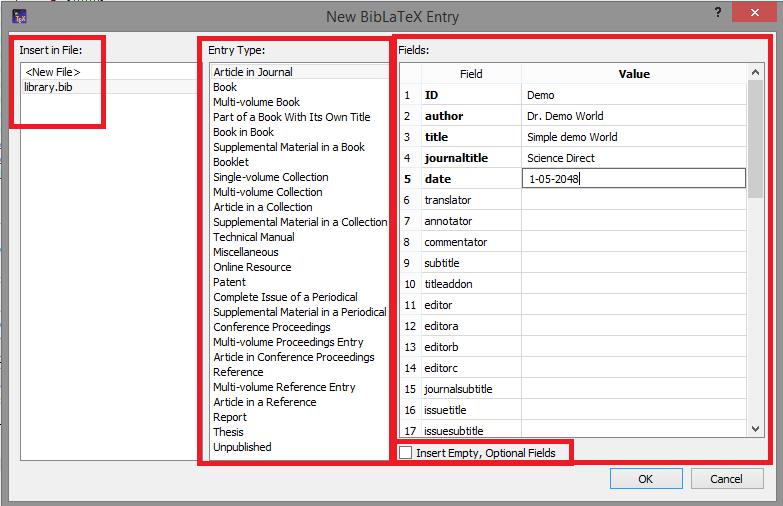 ## TeX Studio can also generate bibliography entry for you into external bibliography file. 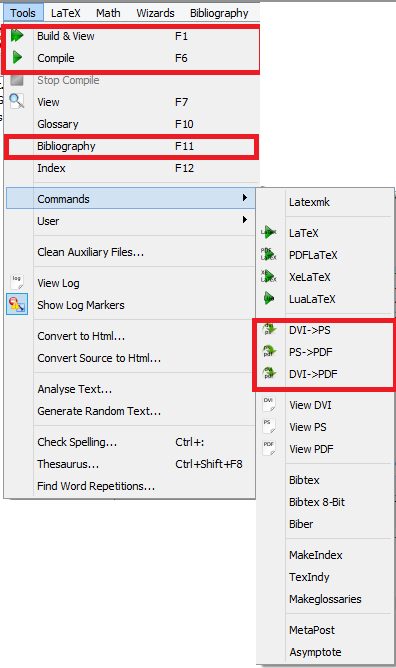 There are many pre-defined templates for bibliography, you can type data into it, then it is going to generate code for you. 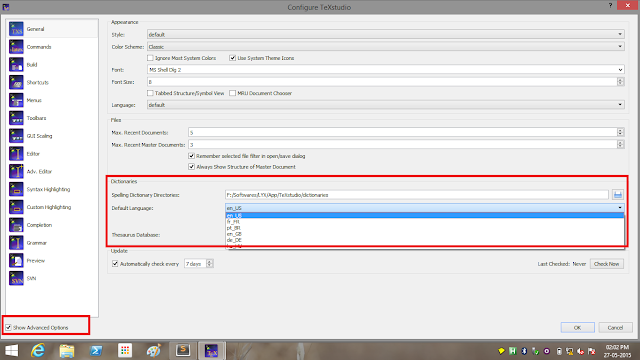 ## Be careful while choosing default language for TeX Studio, because this language will be used for spell checking. 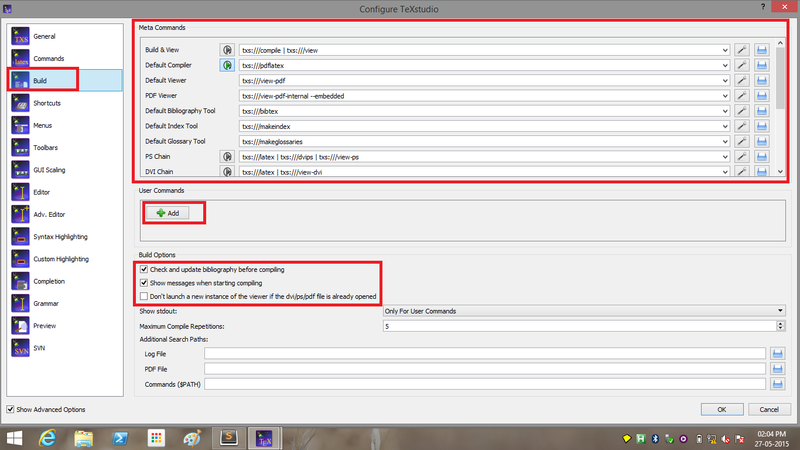 ## If you want to look for pre-defined commands, this is where you can look for or edit them if needed. 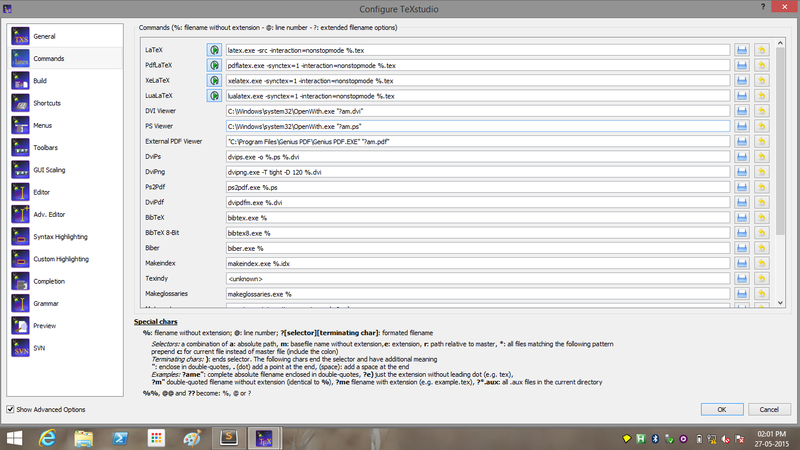 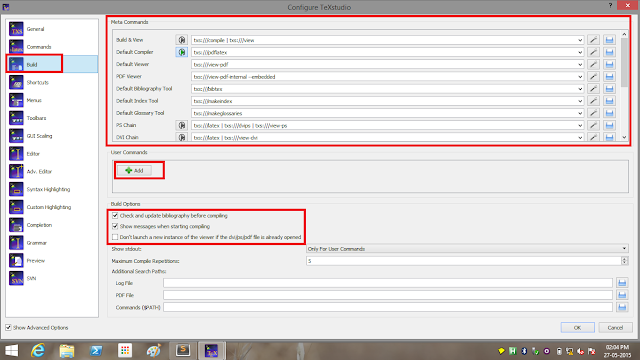 ## Meta Commands and user commands will be available into Tools menu item.